Today is Shavuot (שבועות‎‎) in certain Jewish traditions, translated as the Feast of Weeks in English versions of the Hebrew Bible and Pentecost (Πεντηκοστή) in the Greek Septuagint. It falls 50 days after the feast of Passover, and was the feast that evolved into Pentecost in the Christian tradition according to the Acts of the Apostles — http://www.bookofdaystales.com/pentecost/. 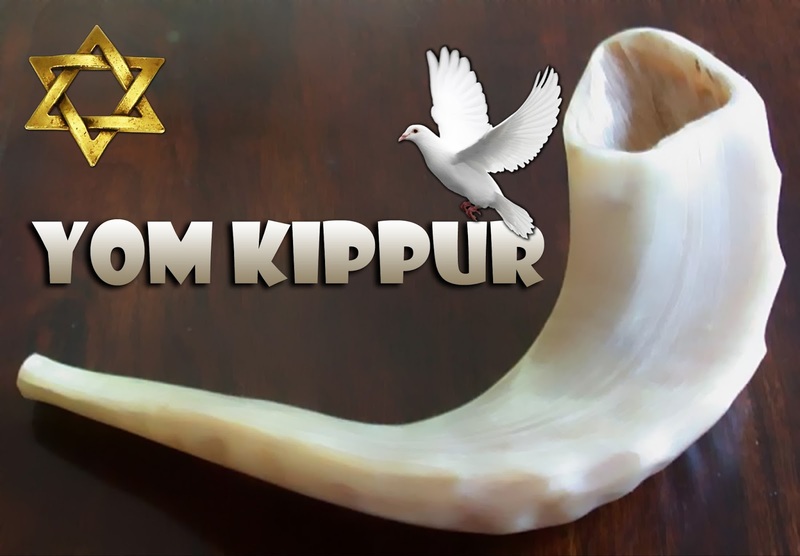 By the Jewish calendar it falls on the sixth day of the month of Sivan. In the Torah, Shavuot is the season of the grain harvest, specifically of the wheat. In ancient times, the grain harvest lasted seven weeks and was a season of gladness (Jer. 5:24, Deut. 16:9-11, Isa. 9:2). It began with the harvesting of the barley during Passover and ended with the harvesting of the wheat at Shavuot. 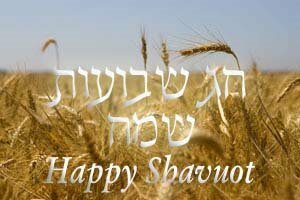 Shavuot was thus the concluding festival of the grain harvest. 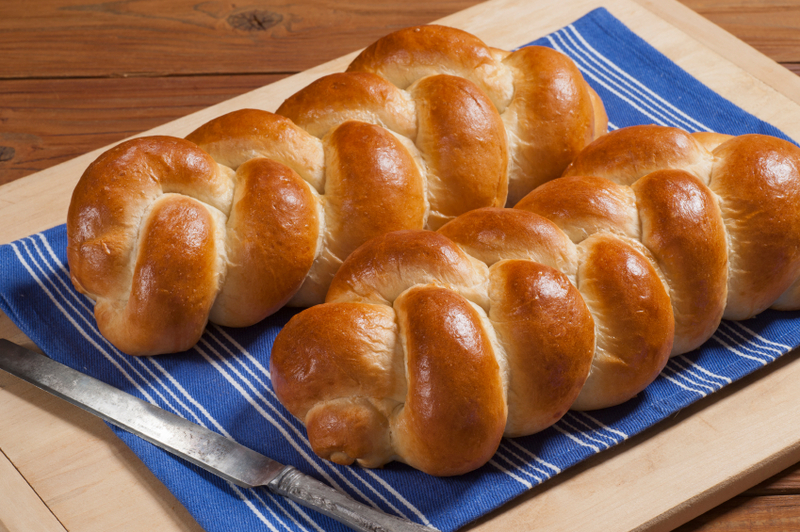 During the existence of the Temple in Jerusalem, an offering of two loaves of bread from the wheat harvest was made on Shavuot. 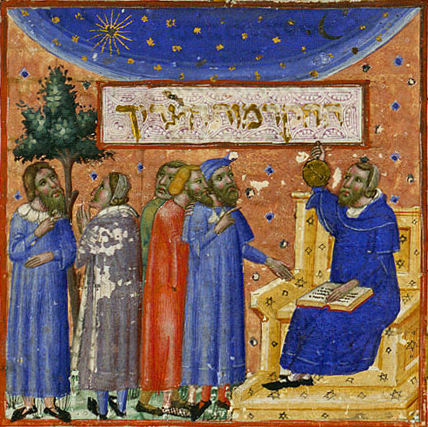 The Talmud refers to Shavuot as Atzeret (עצרת‎‎, literally, “refraining” or “holding back”), referring to the prohibition against work on this holiday and to the conclusion of the holiday and season of Passover. Since Shavuot occurs 50 days after Passover, Hellenistic Jews gave it the name “Pentecost” (πεντηκοστή, “fiftieth day”). According to tradition, in the largely agrarian society of ancient Israel, farmers would tie a reed around the first ripening grains in their fields. At the time of harvest, the fruits identified by the reed would be cut and placed in baskets woven of gold and silver. The baskets would then be loaded on oxen whose horns were gilded and laced with garlands of flowers, and who were led in a grand procession to Jerusalem. As the farmers passed through cities and towns, they would be accompanied by music and parades. I doubt that the specifics are accurate, but there’s no reason to doubt that general harvest festivals took place at this time of year in ancient Israel. 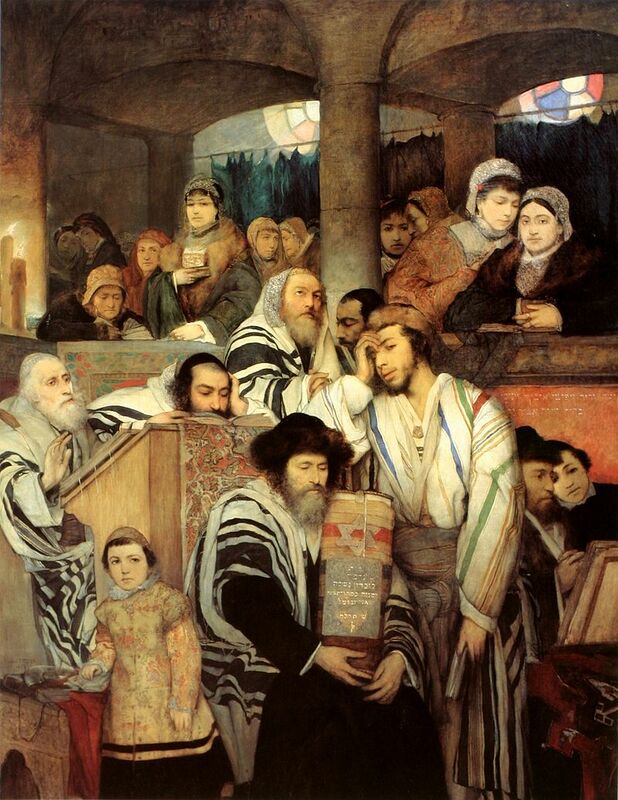 Shavuot is unlike other Jewish holidays in that it has no prescribed mitzvot (Torah commandments) other than traditional festival observances of meals and celebrations, and the traditional holiday observances of special prayer services and the required abstention from work. 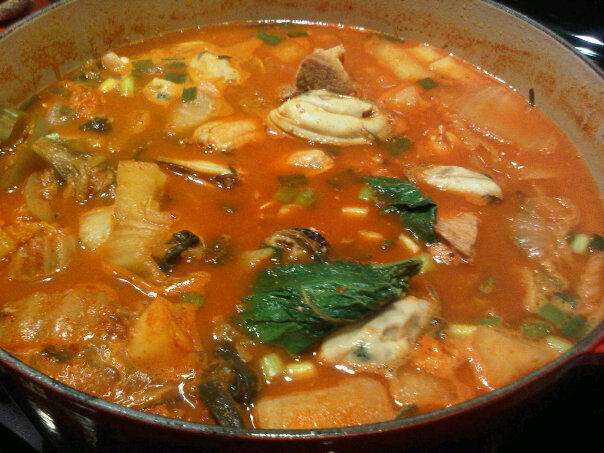 However, it is characterized by many minhagim (customs). Akdamut (Aramaic: אקדמות) is a liturgical poem extolling the greatness of God, the Torah and Israel that is read publicly in the synagogue right before the morning reading of the Torah on the first day of Shavuot. 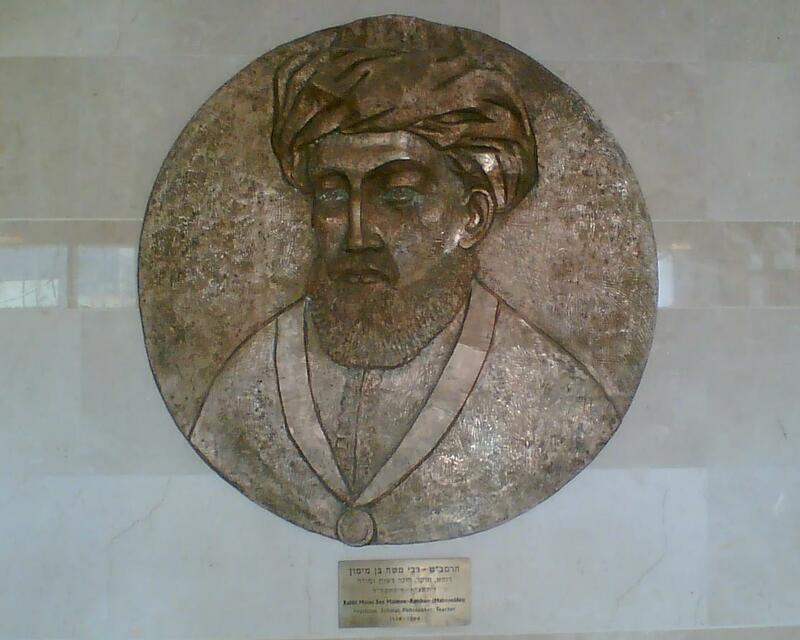 It was composed by Rabbi Meir of Worms, whose son was murdered during the Crusade of 1096. Rabbi Meir was forced to defend the Torah and his Jewish faith in a debate with local priests, and successfully conveyed his certainty of God’s power, His love for the Jewish people, and the excellence of Torah. 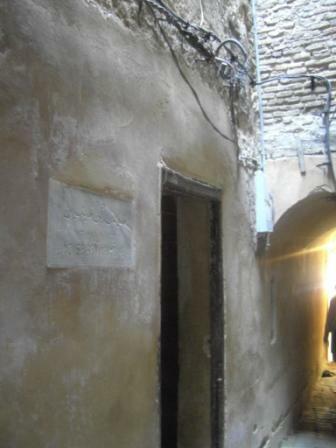 Afterwards he wrote Akdamut, a 90-line poem in Aramaic which stresses these themes. 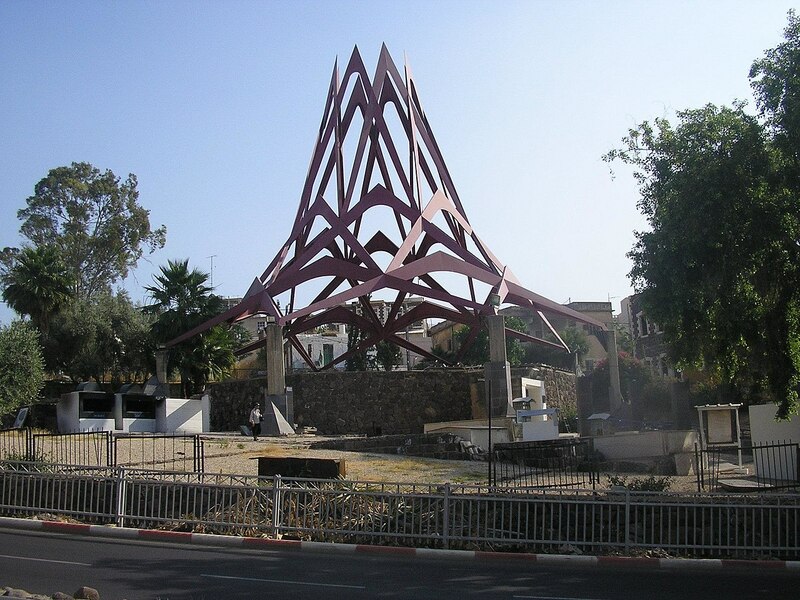 The poem is written in a double acrostic pattern according to the order of the Hebrew alphabet. In addition, each line ends with the syllable “ta” (תא), the last and first letters of the Hebrew alphabet, alluding to the endlessness of Torah. The traditional melody which accompanies this poem also conveys a sense of grandeur and triumph. 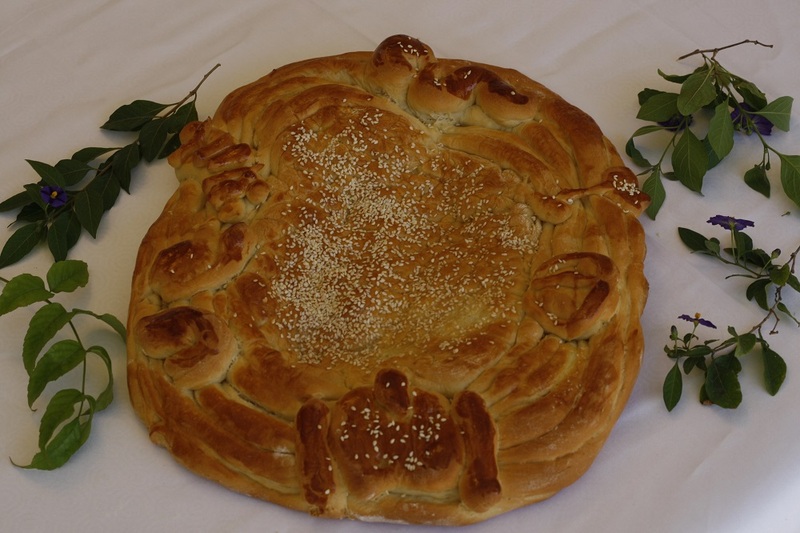 Dairy foods such as cheesecake, cheese blintzes, and cheese kreplach among Ashkenazi Jews, cheese sambusak, kelsonnes (cheese ravioli), and atayef (a cheese-filled pancake) among Syrian Jews; kahee (a dough that is buttered and sugared) among Iraqi Jews; and a seven-layer cake called siete cielos (seven heavens) among Tunisian and Moroccan Jews are traditionally eaten on Shavuot, although this practice is not universal. 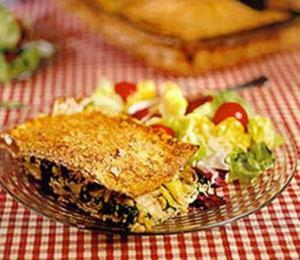 In keeping with the observance of other Yom Tovs, there is both a night meal and a day meal on Shavuot. Meat is usually served at night and dairy is served either for the day meal or for a morning kiddush. 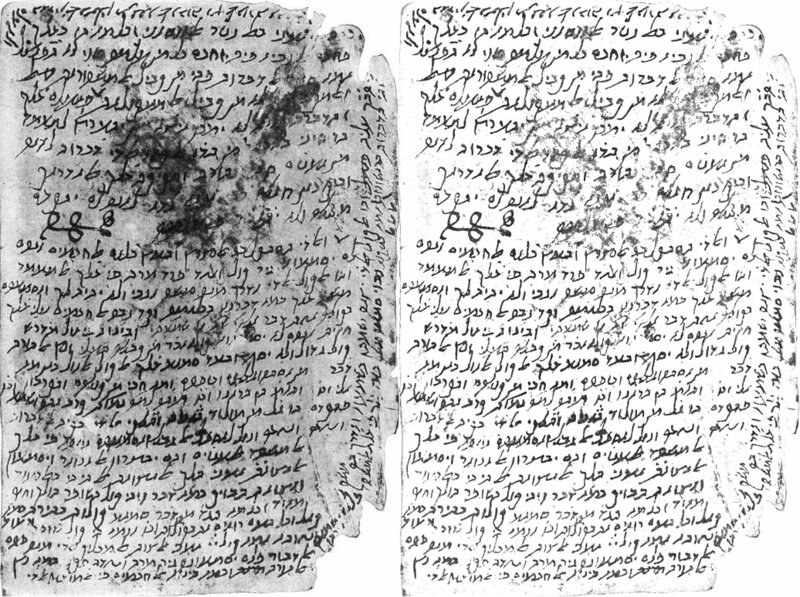 There are five books in Tanakh that are known as Megillot (Hebrew: מגילות, “scrolls”) and are publicly read in the synagogues of some Jewish communities on different Jewish holidays. The Book of Ruth is read on Shavuot because King David, Ruth’s descendant, was born and died on Shavuot according to the Talmud, Shavuot is harvest time, and the events of Book of Ruth occur at harvest time. According to the Midrash, Mount Sinai suddenly blossomed with flowers in anticipation of the giving of the Torah on its summit. Greenery also figures in the story of the baby Moses being found among the bulrushes in a watertight cradle when he was three months old. For these reasons, some devout Jewish families decorate their homes and synagogues with plants, flowers and leafy branches in honor of Shavuot. 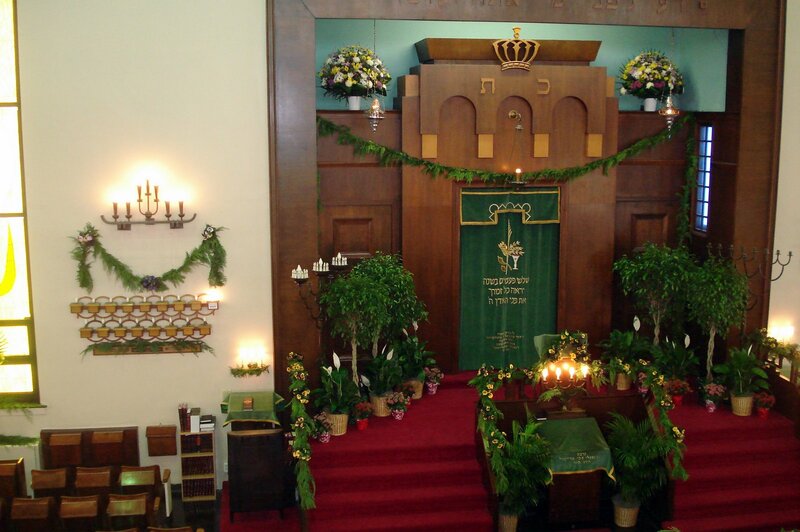 Some temples decorate the bimah with a canopy of flowers and plants so that it resembles a chuppah, as Shavuot is mystically referred to as the day the matchmaker (Moses) brought the bride (the nation of Israel) to the chuppah (Mount Sinai) to marry the bridegroom (God); the ketubah (marriage contract) was the Torah. 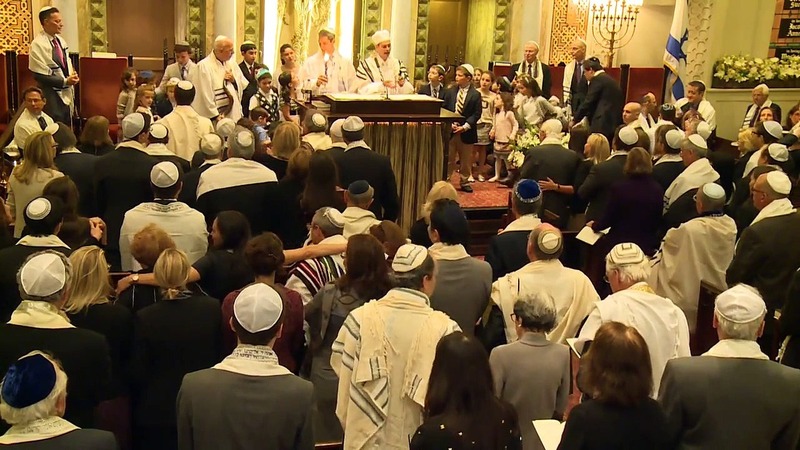 Some Eastern Sephardi communities actually read out a ketubah between God and Israel as part of the service. 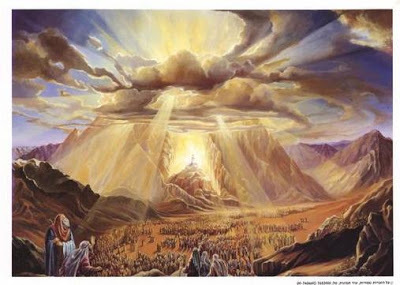 By common Rabbinic tradition, nowadays Shavuot celebrates the giving of the Torah to Moses (thence to the people) on Mt Sinai after the Exodus, rather than the wheat harvest, even though this tradition has no basis in the Torah, for fairly obvious reasons. It would be logically paradoxical to have the giving of the Torah to the Israelites described within the Torah, just as it is logically impossible for the Torah to have been written by Moses, yet to have his death described within it. 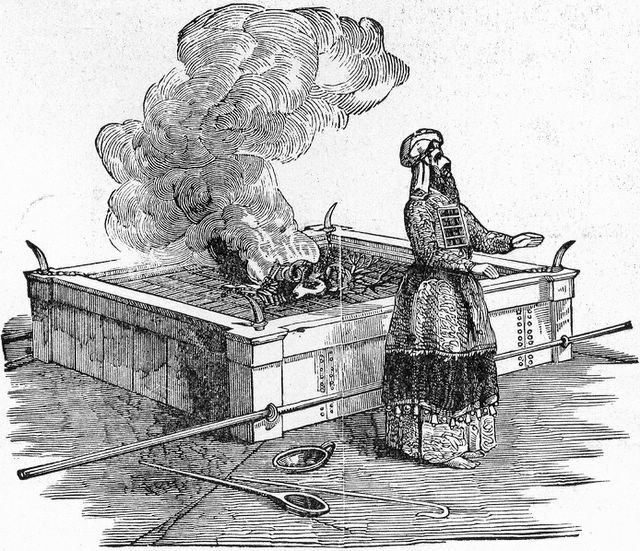 But since the majority of Jews did not live in agricultural communities following the Diaspora, the celebration of the giving of the Torah largely replaced the harvest festival. According to the Jewish mode of reckoning, Shavuot began this year (2016) at sundown yesterday, to be celebrated with a meal with meat. Today is the time for dairy products (without meat). A breakfast of cheese blintzes would be fine. 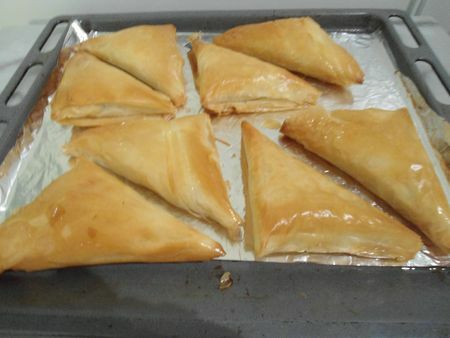 Here’s a recipe for phyllo pastries with a cheese filling that are common in Sephardic and Middle Eastern households for Shavuot. There should be a mix of at least 3 cheeses (preferably 4) for the filling and they should be a mix of harder and soft cheeses – although the harder cheeses should melt easily and be well grated. Feta, Gruyere, Ricotta, and Parmesan is a good combination, but the choice is yours. You can make either triangular pastries or rolls. Pre-heat the oven to 350°F/175°C. Mix the cheeses and the beaten eggs together well. 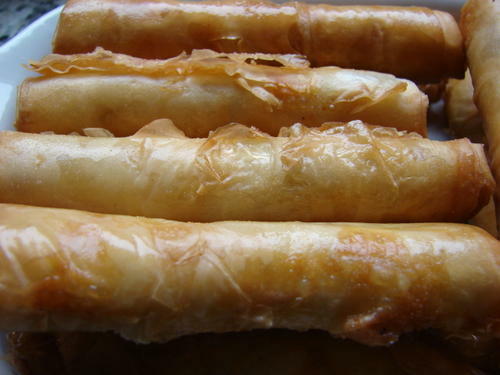 Cut the phyllo dough into squares and brush generously with melted butter. Place 2 tablespoons of the cheese filling in the center of each square, for triangular pastries, or in a straight line down one side for rolls. For triangular pastries, fold one corner to the opposite, diagonally and press the edges together with your fingers. For rolls, turn the pastry over the filling so that the package looks like a cigar with the filling in the middle. Press the loose side down into the roll to seal. Place the pastries on a greased baking tray and brush the tops with a little egg yolk. Bake for 25 minutes, or until golden. Cool a little on wire racks, and serve warm.